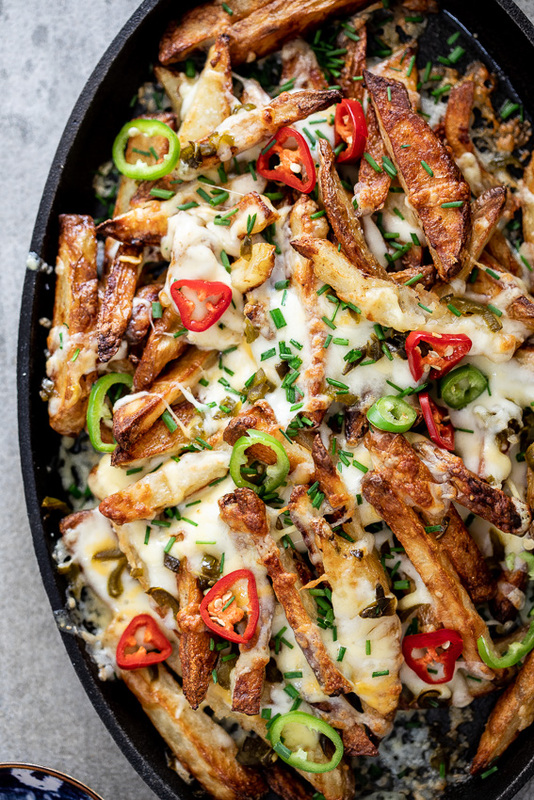 A big pan of Baked jalapeño cheese fries is the ultimate easy recipe to make for a crowd. Perfect for game day snacking or when you just need cheesy fries in your life. So, OK. We all know we shouldn’t want to eat crispy fries drenched in melted cheese and spicy jalapeños, but we do. 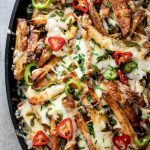 And sometimes those cravings need to become a reality and in those moments, these baked jalapeño cheese fries will be there for you. And let me just tell you that your friends and family will love nothing more than being served a big pan filled with cheese fries at your next gathering. Hello Superbowl Sunday! How do you make cheese fries? Bake fries as directed then top with a mixture of cheeses and chopped pickled jalapeños. Bake in a hot oven until the cheese has melted then top with sliced chilli peppers and serve. 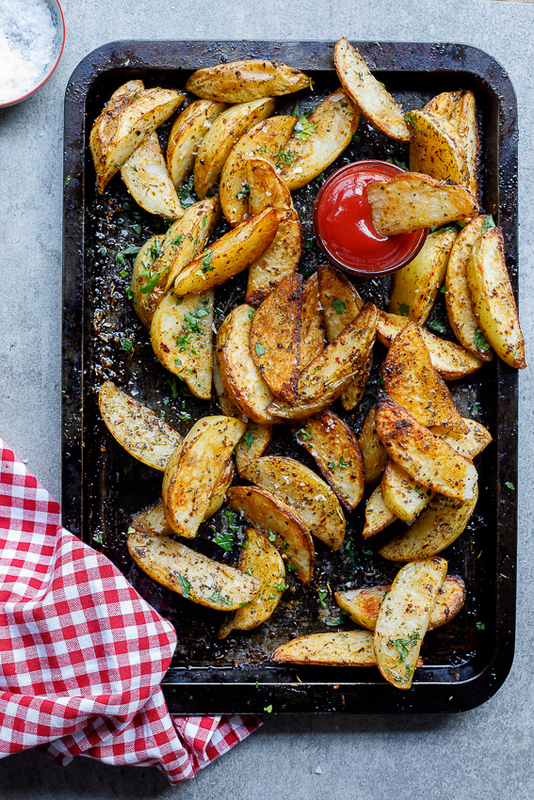 How do you make french fries crispy in the oven? Slice large potatoes into fries then toss with vegetable oil (I used canola) and salt. Spread onto a baking sheet and bake at 200ºC/390ºF until crisp and golden. I give them a flip half way through to make sure they all crisp evenly. 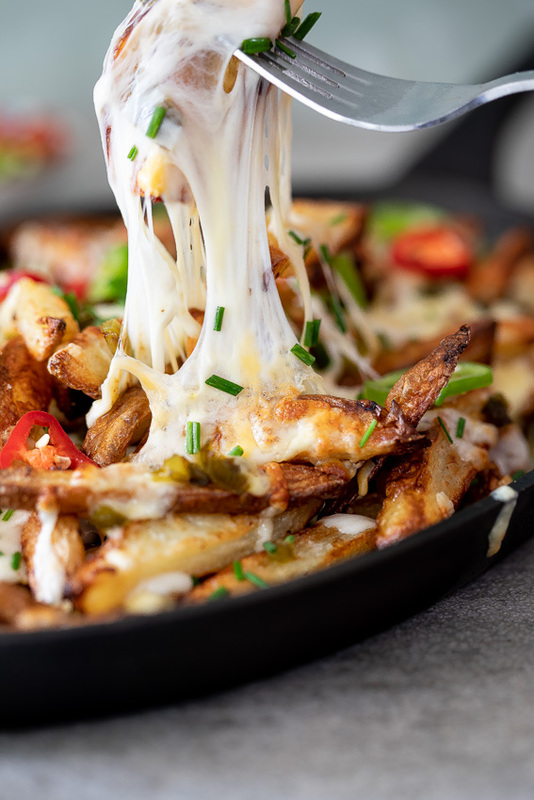 What is the best cheese to use for cheese fries? A mixture of a good melting cheese and a strong cheese for flavor is ideal. Mozzarella, Fontina and Raclette are all great melting cheeses. For flavor, try a good strong, mature cheddar or Gruyere. Parmesan and Pecorino are also good additions. 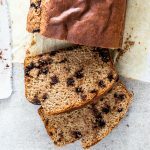 What are the best Super Bowl foods? 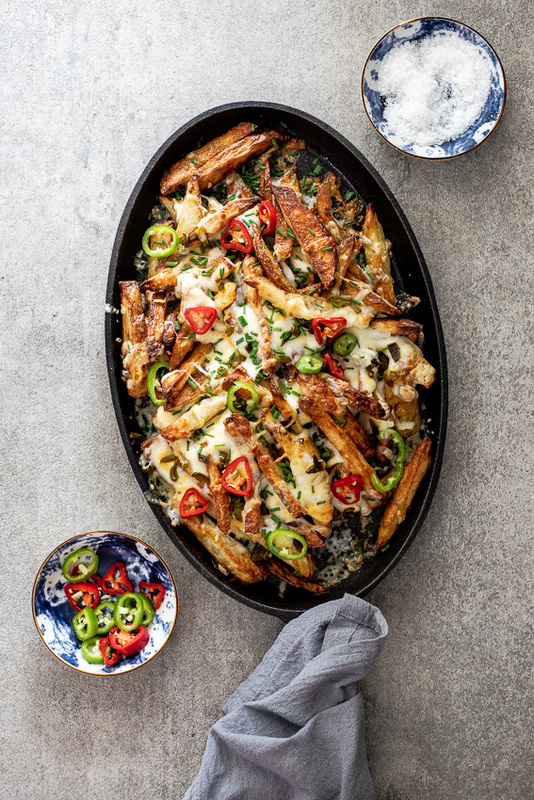 A big pan of Baked jalapeño cheese fries is the ultimate easy recipe to make for a crowd. Perfect for game day snacking or when you just need cheesy fries. Bake the fries as instructed. When the fries are baked, layer in a large pan with the grated cheese and jalapeños. Place back in the oven and allow to bake until the cheese has melted, approximately 10 minutes. Remove from the oven and garnish with fresh chopped chives and chillies. Serve. I want to dive right into these fries Alida! They would be perfect for the Super Bowl. Bet they would disappear quickly! Are you using frozen or fresh cut fries. You state put canola/vegetable oil all over fries to make crispy are these fresh or frozen thawed. Not very specific. 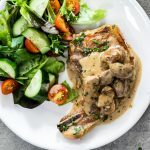 Recipe looks yummy & easy to make. Haven’t made so no rating & need questions answered. I used fresh cut fries. 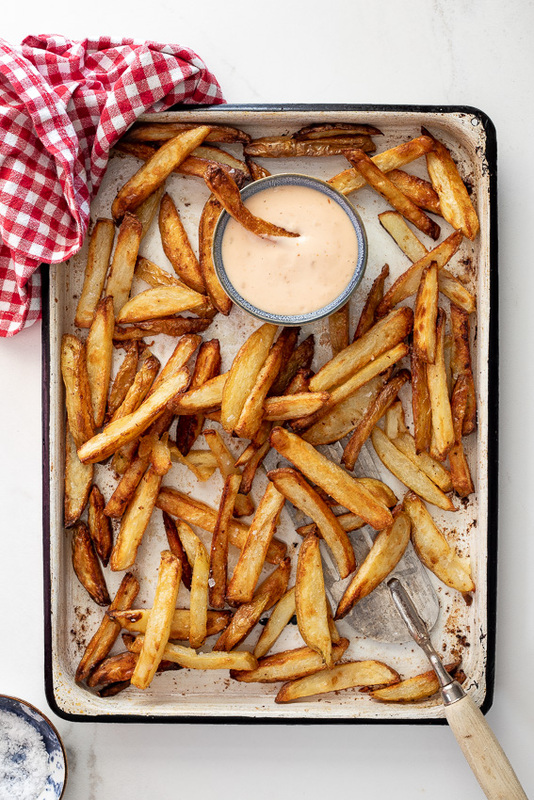 If you click on “Oven baked Fries” in the recipe it will take you to my recipe for easy oven fries.